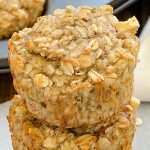 Breakfast Oatmeal Cranberry Pecan Cookies – a healthy, easy and delicious way to start your day! 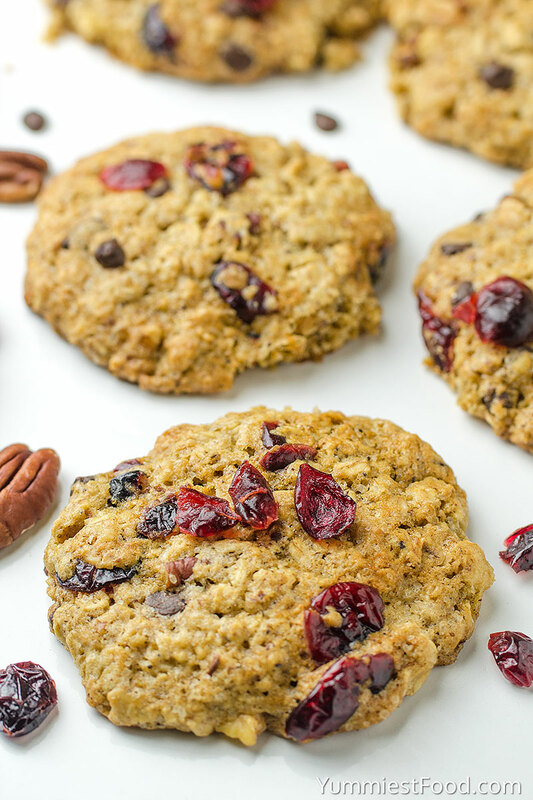 Soft and chewy oatmeal cookies packed with cranberries, pecans and chocolate chips! Oats are not something which I have liked at the first bite. They were really boring for me and my taste but only I can say is that we need to give them chance. When you find oats perfect combination they will become your favorite breakfast. Oats are very light and we need to use them often in our meals. Breakfast Oatmeal Cranberry Pecan Cookies are dessert for one who don’t like too much sweet or for one who want healthier dessert. All of us like dessert and we like them more when we don’t need to spend much time for making them. 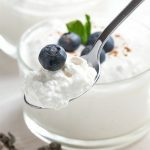 This recipe is a kind of dessert which you can make a few days earlier and it stays fresh and tasty like the first day. 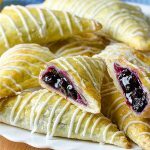 Also you can make this dessert when you need to make many recipes for holidays and you don’t have much time for spending in the kitchen. For these Breakfast Oatmeal Cranberry Pecan Cookies, I don’t have many words to say, except they are fantastic for breakfast or snack and everybody like them. 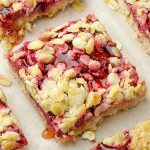 I really like oats and many times I make it in muffin shape or bars but in every way when I always have healthy breakfast for my family. If you don’t know what to make for breakfast or brunch this Breakfast Oatmeal Cranberry Pecan Cookies are right choices for you. 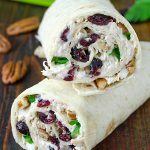 It is super easy to modify and customize with your favorite dried fruits, chocolate and nuts, or a mix of all of them. I am pretty sure you will like these cookies. 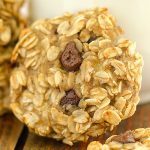 These Breakfast Oatmeal Cranberry Pecan Cookies are perfect for holidays and I am sure that everyone will likes these healthy and tasty cookies. 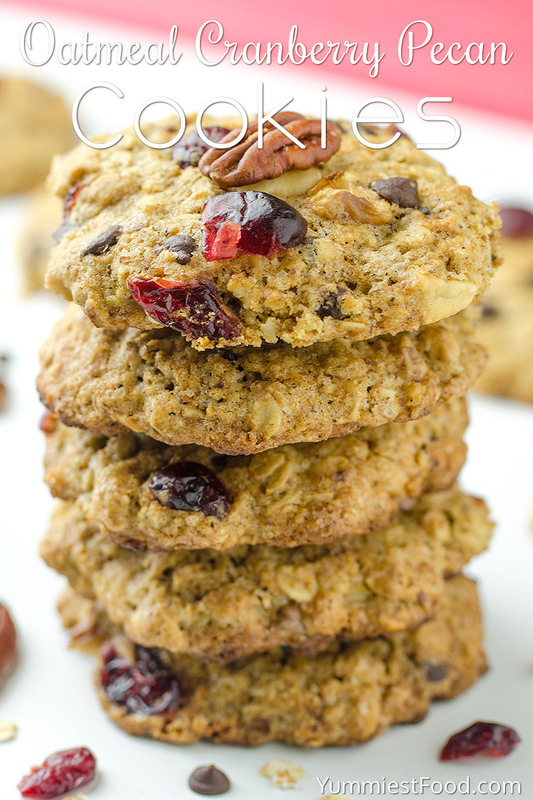 Breakfast Oatmeal Cranberry Pecan Cookies - a healthy, easy and delicious way to start your day! 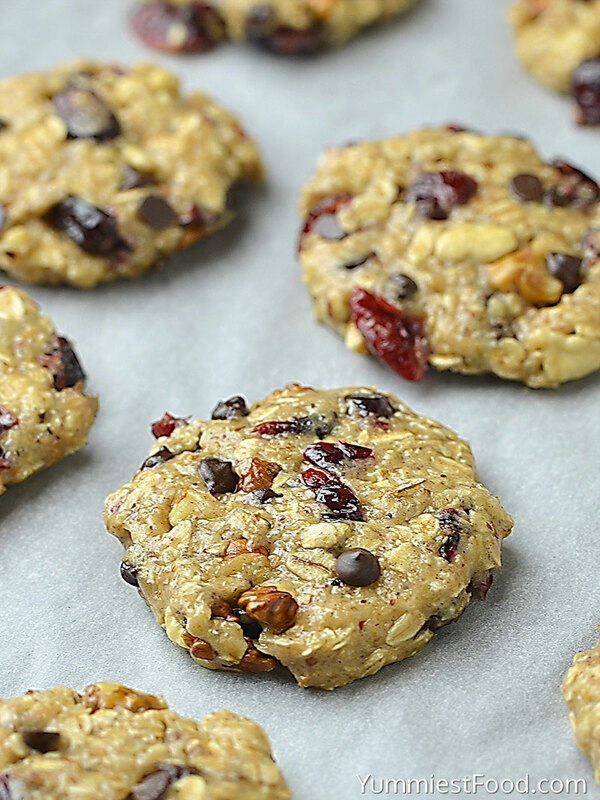 Soft and chewy oatmeal cookies packed with cranberries, pecans and chocolate chips! Cookies stay fresh covered at room temperature for up to 1 week. You can make the cookie dough and chill it in the refrigerator for up to 3 days. 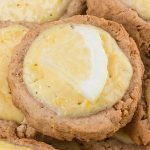 Baked cookies freeze well for up to 2 months. 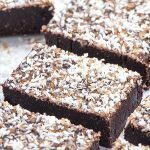 They were a good balance of chewy and crisp, easy to make and delicious. Hi Marianne, this recipe makes 28-30 cookies. Enjoy!